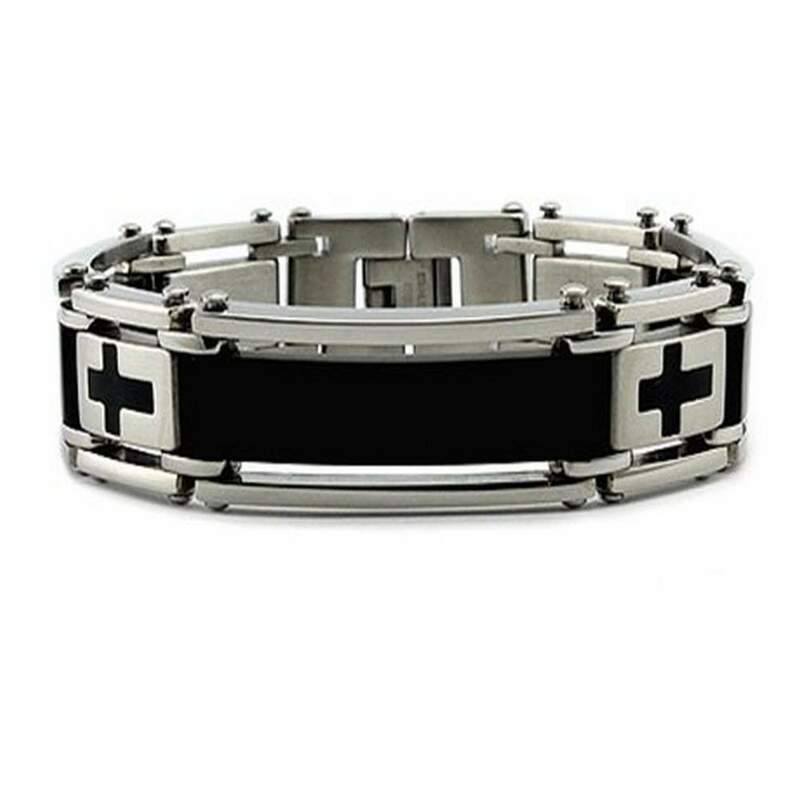 Make a powerful statement in this stainless steel cross bracelet. 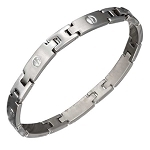 This men's stainless steel bracelet offers polished stainless steel links with black brushed finish ion plated (IP) centers. Four stainless steel crosses span the length of this 14mm by 8.5 inch long bracelet, and are filled black resin. A fold-over clasp is a discreet finishing touch.